Used the right way, email marketing can bring great results. Flexie allows you to tailor your email marketing messages to your audience needs. With Flexie, you can score leads when they open emails or click a link. 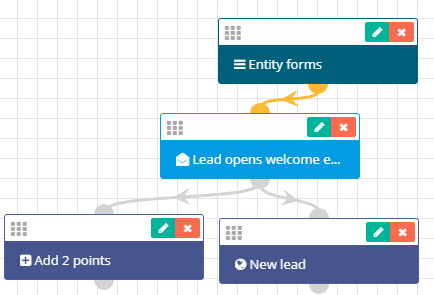 For example, once a lead open an email, the system will automatically add five points to the lead. You can create customized email templates, automatically score lead when they open an email, and much more. In Flexie CRM, a marketing email is any email that is sent from the workflow. Marketing emails, as the term itself denotes, are emails that aim to engage your potential and existing customers with your brand. The more they engage with your brand, the more willing are they to become your brand advocates down the line. In Flexie CRM, marketing emails can be personalized and tailored to the needs of each potential and existent customer. 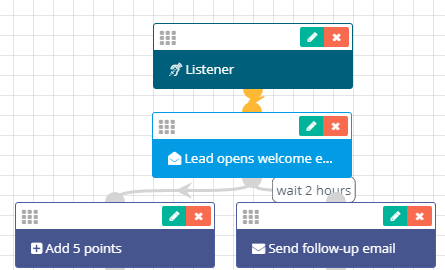 You don’t need to send marketing emails to each one of them, since you can build a workflow and have them sent automatically, based on specific events and conditions you may set. The time you save by building workflows to send marketing emails can be used for other tasks within your company. Creating innovative marketing campaigns is very important, but automating the process itself is vital. With Flexie CRM, you can create innovative marketing campaigns, automate the process of sending marketing emails and increase overall efficiency.